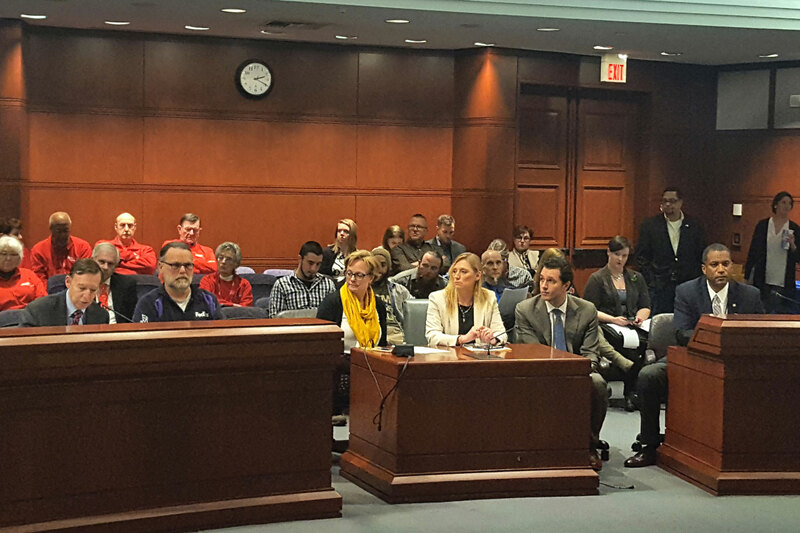 I testified with Torrington Mayor Elinor Carbone in front of the Appropriations Committee today to ask them to restore $1,687,556 in state funding owed to Torrington for the loss of motor vehicle tax revenue due to the car tax cap. Specifically, I asked the committee to incorporate legislation I introduced earlier this year to restore the funding into Appropriations Committee bill HB 5324, An Act Concerning Municipal Funding. My legislation, HB 5072, would have addressed a collective $10 million shortfall faced by Torrington, Hamden, and Bridgeport due to a lack of reimbursement from the state. Torrington doesn’t have the financial means to simply let this error slide. The intent of the car tax cap legislation should be honored and the funding restored. According to the bipartisan budget passed last year, municipalities with a mill rate over 39 – the state mandated car tax cap for 2018 – are supposed to be reimbursed by the state for the difference between the cap and a higher mill rate. Torrington, Hamden, and Bridgeport have been denied this funding because each went through a property tax revaluation in 2015 or later that was not considered in the motor vehicle tax reimbursement calculation in the budget.